And the models were so scantily dressed and so underfed and so clompy – even when wearing six-inch, lethally dangerous stiletto heels. I always thought models were supposed to be elegant and walk beautifully. Not so. I just wanted to take them home, warm them up, cook them dinner and tell them to smile! Ms. Murray attended London Fashion Week, which was held February 14 – 18, 2014 at Somerset House. Chatter, chatter all day long. I know you. It’s a marvel to me that you never get tired of talking about clothes. – Leonard Ardsley, attorney, father and character in W. Somerset Maugham’s play, For Services Rendered. I couldn’t resist using this quote after hearing it recently at ACT’s Scripts: A Play Reading Series. Several times a season ACT hosts a staged reading of companion plays to the current main stage productions, featuring several of the show’s actors. It’s fun, it’s free, and it’s a great opportunity to dress for an evening out-on-the-town. There was one period when my favorite fabric was flesh. Human flesh. I didn’t wear any clothes for a while. 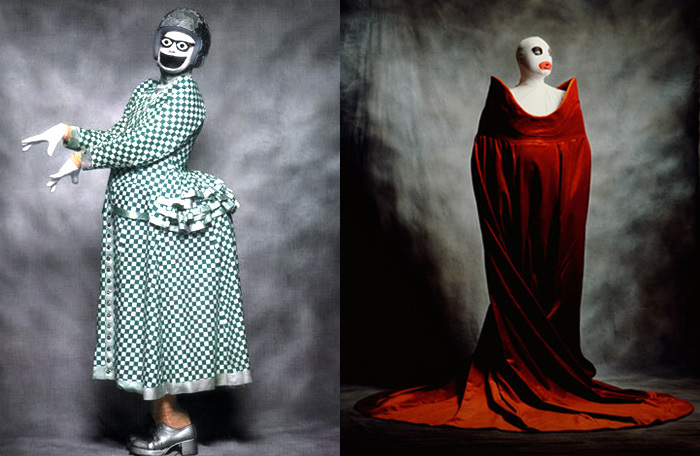 – Leigh Bowery (1961-1994), Australian-born fashion designer, London 80s club kid. 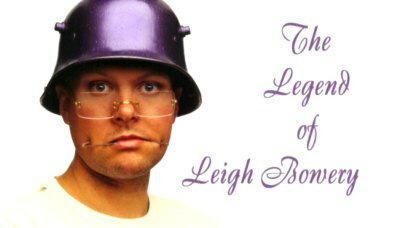 I recently watched the documentary The Legend of Leigh Bowery and although Mr. Bowery’s style is not at all my cup of tea, I appreciate his creativity and individuality. A friend of Boy George and model for artist Lucian Freud, Mr. Bowery was part of the New Romantics, a fashion and music sub-culture in 1980s London. The getups Mr. Bowery put together were elaborate, grotesque, and monster-like in size. He topped off each creation with clown makeup or a head mask. Strutting, posing, and flirting Mr. Bowery moved about as a performance piece making quite an impact on the scene at the time. Mr. Bowery showed at both London and Tokyo Fashion Week, but the industry was an issue for him because he really was only interested in designing for himself, not wanting to be copied. However, he did make couture pieces for entertainer friends including experimental dance choreographer Michael Clark. He’s also credited with having influenced the likes of Vivienne Westwood and Alexander McQueen. I wonder how Mr. Bowery would dress himself today had he lived. Would age make any difference? Would he eventually have become bored with his own creations?